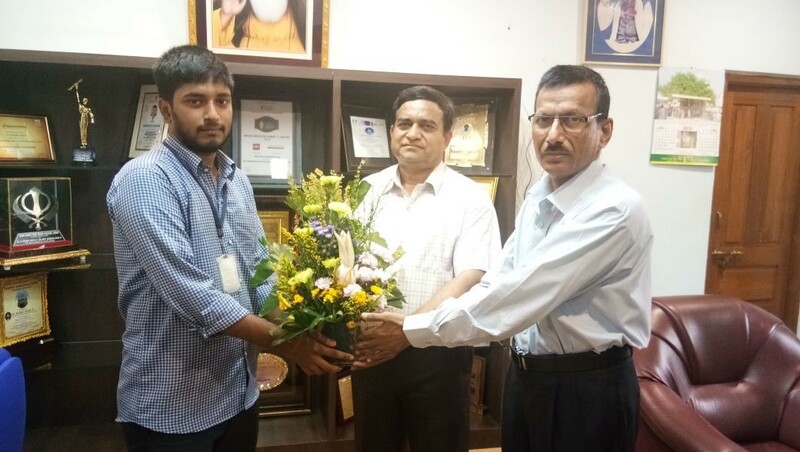 The Training & Placement Department is an indispensable pillar of the Institute. 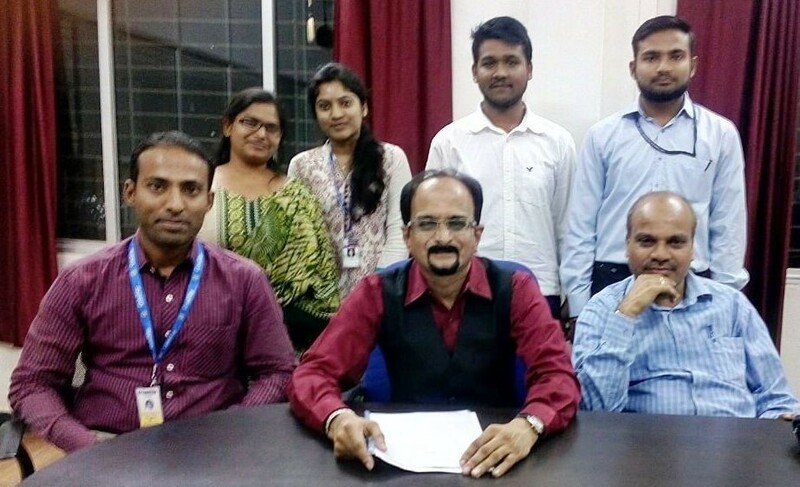 It has an important role to play in the student's prospects for employability. Placements provide an opportunity for students to demonstrate, in the real world, the application of the knowledge they have acquired over the years. 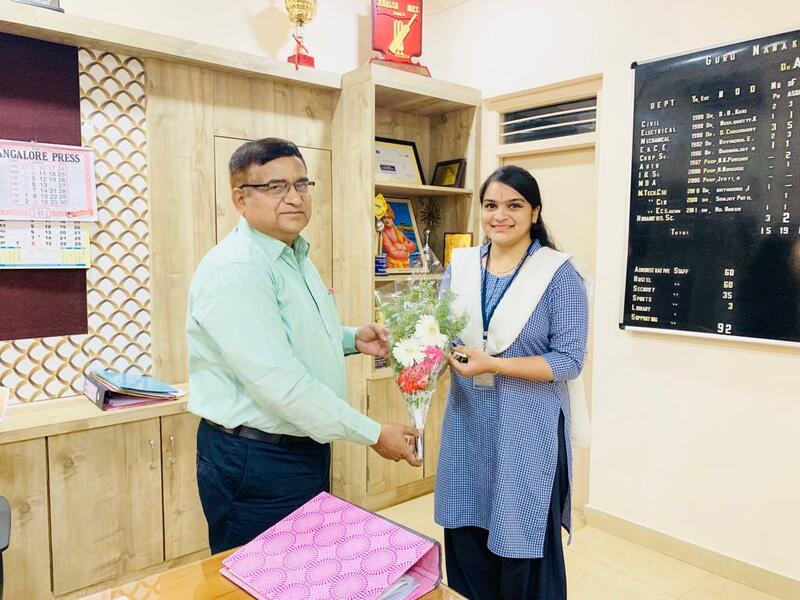 This department continuously strives to help students acquire employment relevant skills so that they can pursue their career goals with challenging roles in the industry. 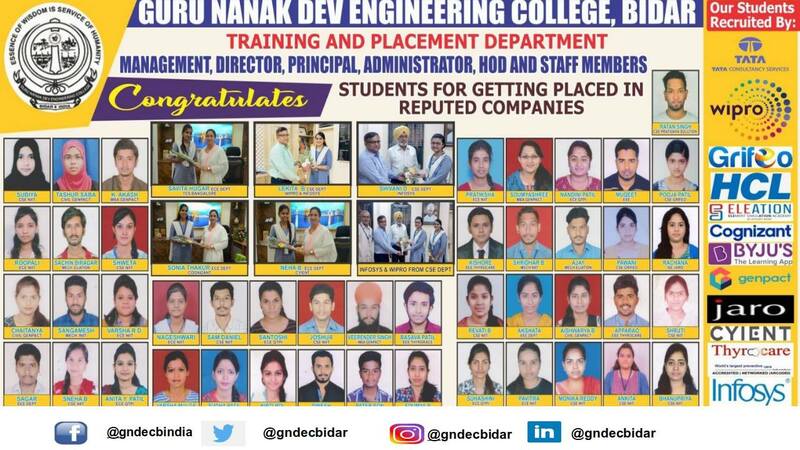 Guru Nanak Dev Engineering College is organizing “ Pool Campus Recruitment Drive” for various companies in collaboration with “Swiz Brigo Bangaluru” on Tuesday i.e.9th April 2019. 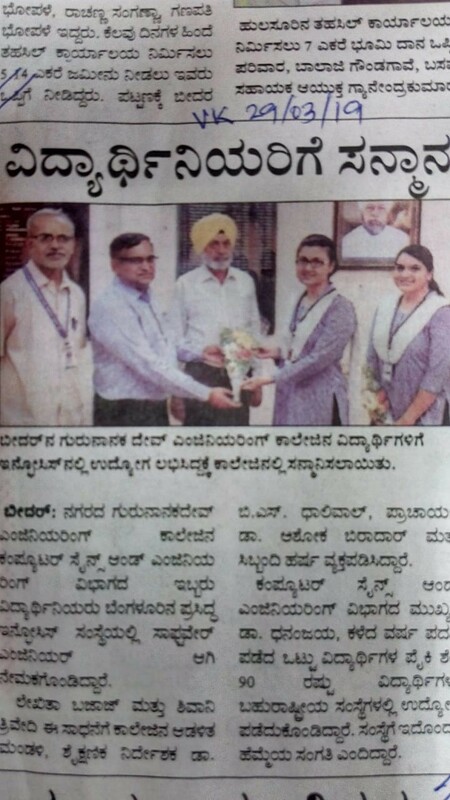 Guru Nanak Dev Engineering College is organizing “ Pool Campus Recruitment Drive” for various companies in collaboration with “Swiz Brigo Bangaluru” on Tuesday i.e.9th April 2019. Kindly call on below number for further details. The following is the list of companies visiting our campus. Swizbrigo is providing the platform for the corporate connect. 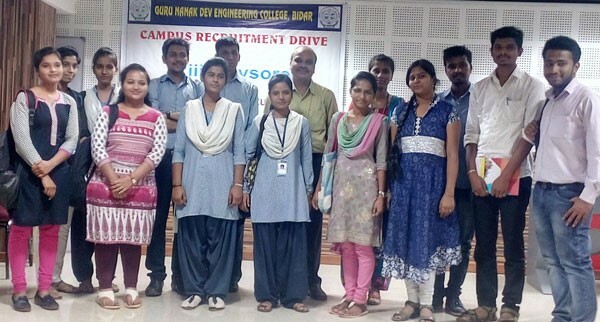 The Registration Fees for attending the Drive will be Rs 300 per student, they can take part in any number of companies, the registration will be done on the drive day. The student should carry copies of resumes. One copy for each company they want to attend. 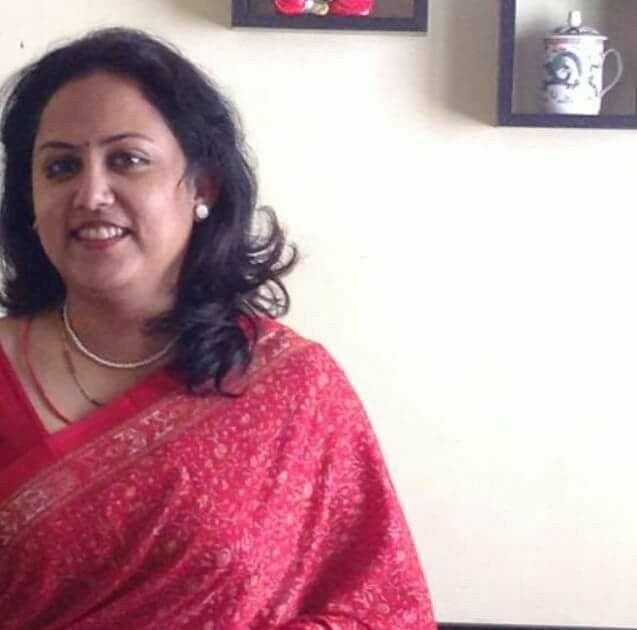 Student should carry college Identity card for proof. Kindly make out maximum benefit from this drive. 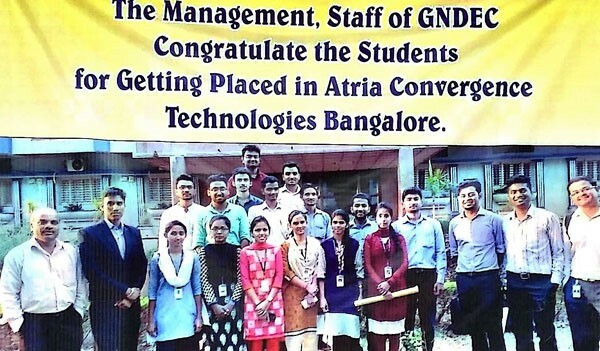 Lekhita Bajaj(3GN15CS039), Shivani (3GN15CS082) students of BE CSE of GNDEC, Bidar has placed in Infosys Technologies Bangalore as Software Engineer. 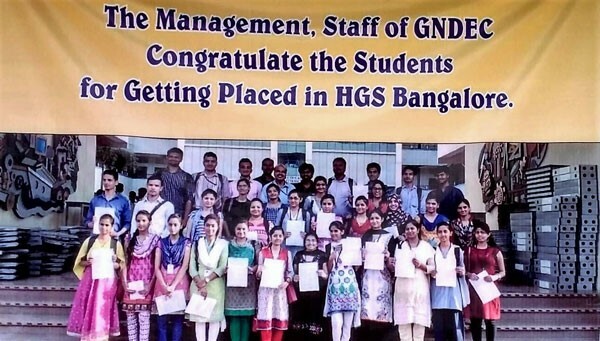 Lekhita Bajaj(3GN15CS039), Shivani (3GN15CS082) students of BE CSE of GNDEC, Bidar has placed in Infosys Technologies Bangalore as Software Engineer. 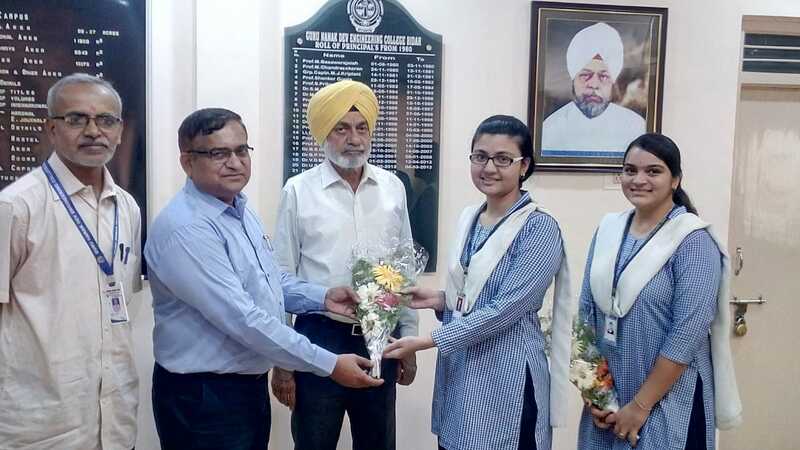 The Management, Academic director Dr B.S.Dhaliwal , Principal Dr Ashok biradar, staff and students of GNDEC congratulated the students for their outstanding performance. 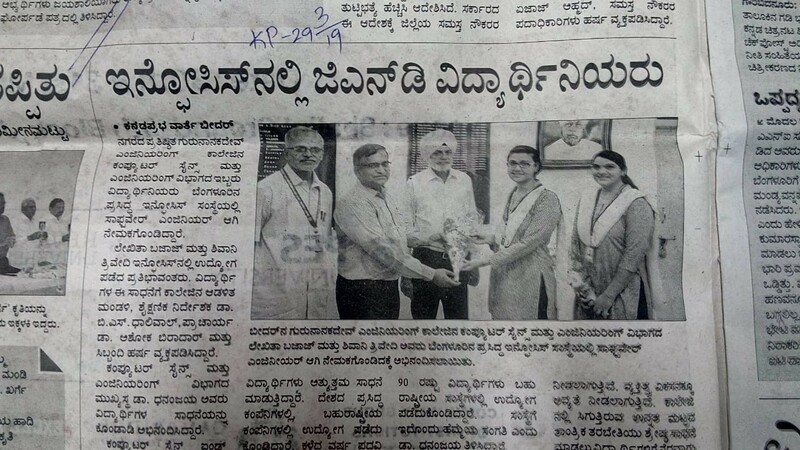 Global Technologics Pvt. Ltd., Bangalore. 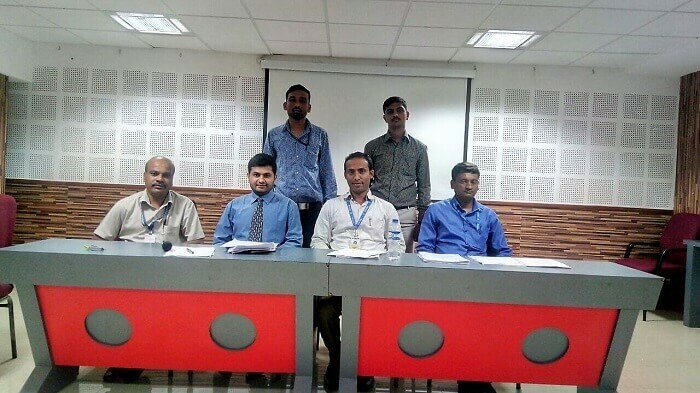 Infosy's Recruitment Drive was held on 20th May, 2018 . The Following are the selected student. 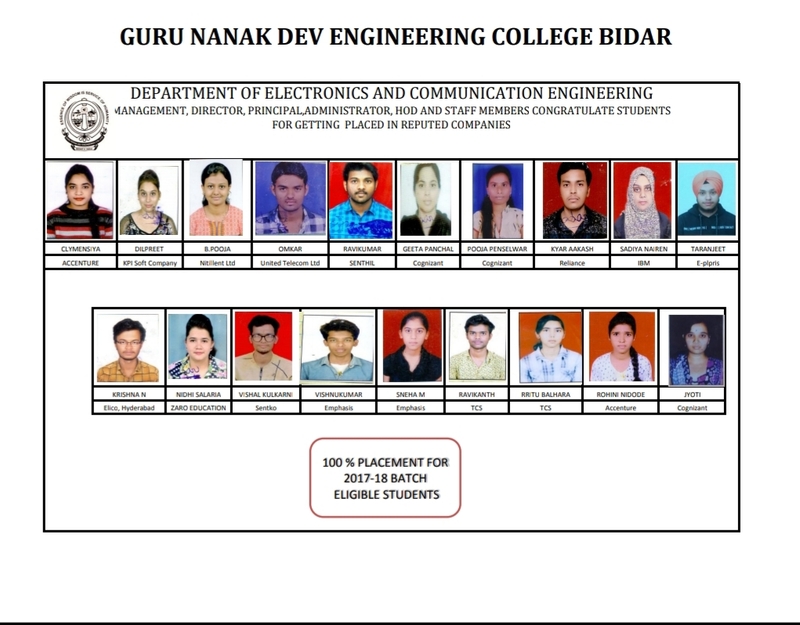 The Following are the selected students. DOCTRONICS, MUMBAI RECRUITMENT DRIVE – 2017, 08TH AND 09TH DEC, 2017. 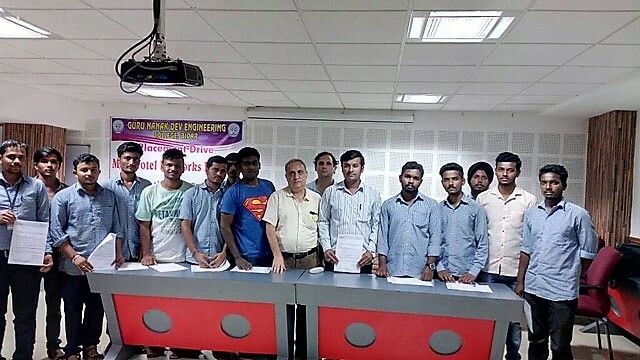 BHARAT WIRE ROBES MUMBAI PLACEMENT DRIVE FOR MECHANICAL AND ELECTRICAL BRANCH STUDENTS, 16th Nov, 2017. 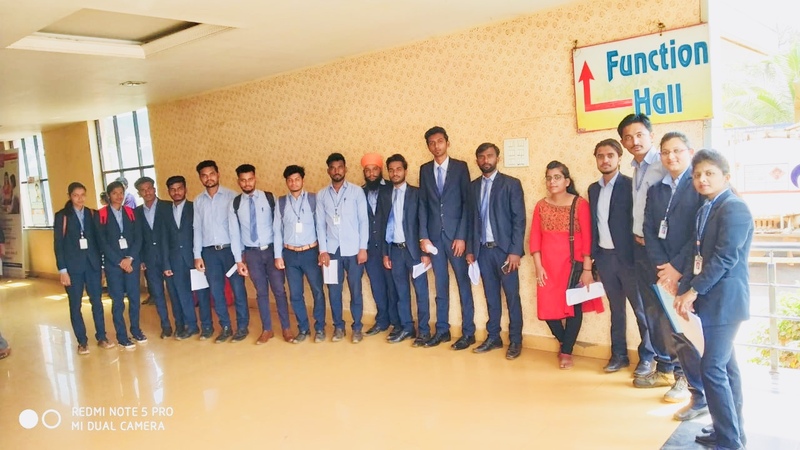 Technoloical global has conducted Recruitment Drive on 15th Nov, 2017 at GNDEC Bidar for all the branches and 7 students from various departments have got selected. 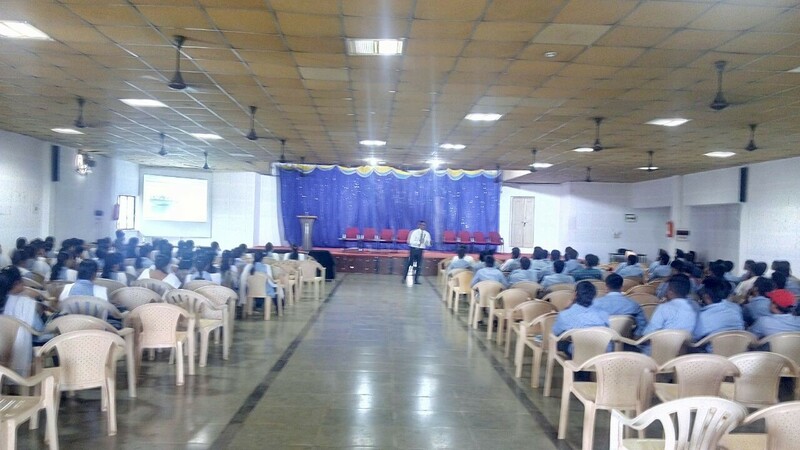 M/S Alpha-9-marine (Merchant Navy) visited our campus for placement of B.E final year students of ME, Civil, EEE, ECE, CSE, Auto on 9th Sep, 2017 at 10:00AM in Main Auditorium. 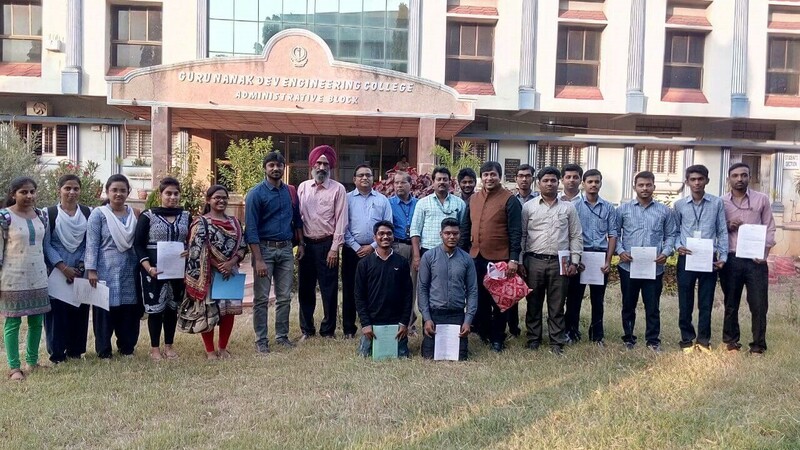 A total of 163 students have participated from all the branches.